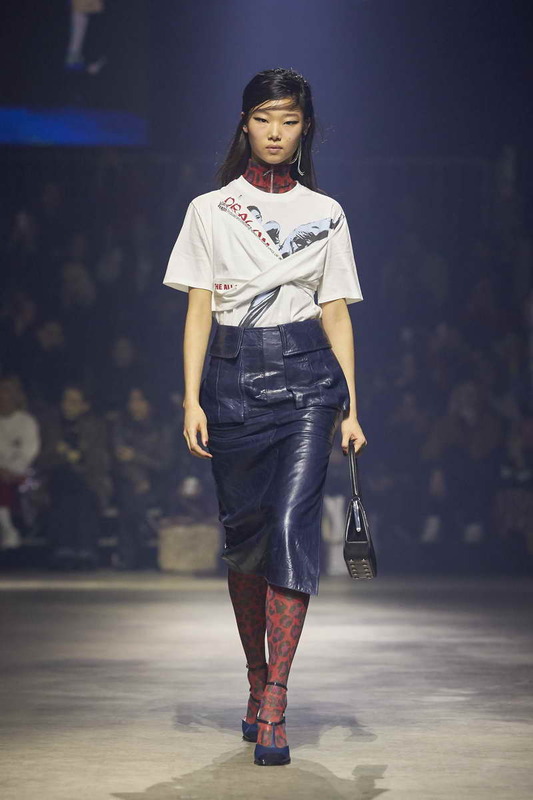 The Fall-Winter 2018 KENZO Women’s collection is brimming with dusty colors and vibrant prints. 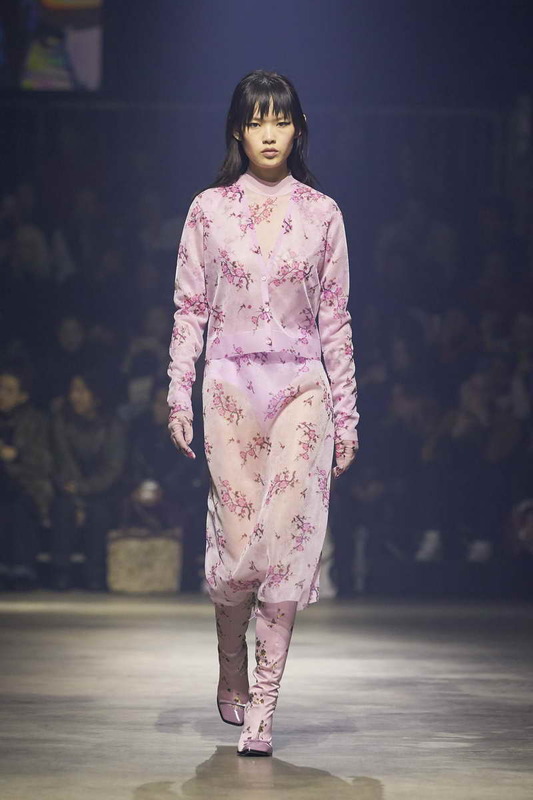 Silk satin cherry blossom jacquard dresses are worn alongside modernized twinsets in transparent nylon knits. Pencil skirts in silk are over-the-knee with front slits. Rich micro-pleated velvet dresses and skirts in an archival floral print come ruched. 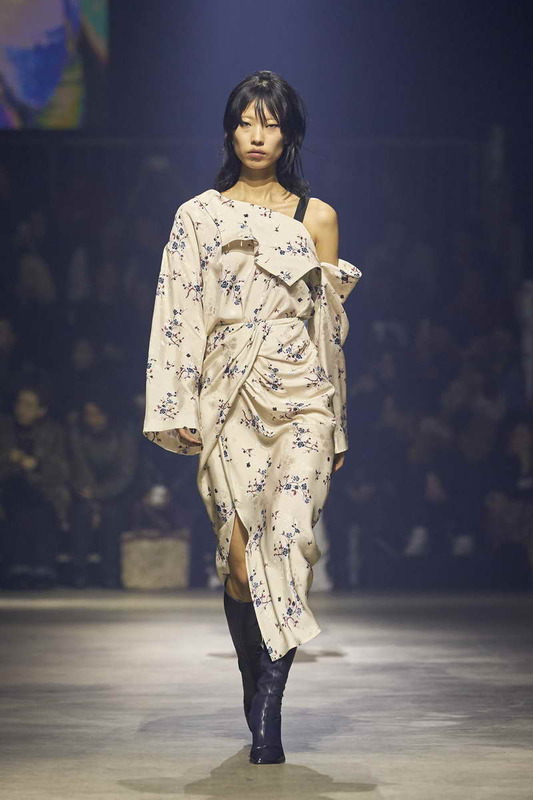 Tweed cargo pants, oversized pea coats and bustier dresses are matched with washed cotton canvas “movie poster” tee shirts, dresses and culottes. Dresses in “coat lining” inspired silk fabrics pair with wool bouclé coats in lilac or camel. Accessories for women are spun from the same wheel as their ready-to-wear counterparts. Classic “frame” evening bags come in two sizes and feature fabrics in dust colored silk jacquards or transparent floral beading. Shoes have asymmetric soles. For women’s, a more elegant allure stems from mary-jane, sling-back or stiletto boots recalling the collection’s fabrics of transparent nylon or silk jacquard.